Known as the "City of Swans" Lakeland's many lakes are graced by white mute swans. Adobe Acrobat Reader is required to open these files. If you do not have the software click here for the free download. Click below to view art requirements and art upload link. Please contact the office at 863-603-0373 for specific shipping instructions. Click below to view a printer-friendly interactive media kit. Media kit opens in a new window. The OAAA is the lead trade association representing the outdoor advertising industry. Founded in 1891, the OAAA is dedicated to promoting, protecting and advancing outdoor advertising interests in the US. With nearly 800 member companies, the OAAA represents more than 90 percent of industry revenues. IBO is networking group of companies that have common interest of promoting all things of importance to independent billboard operators. Established in 1933, the Traffic Audit Bureau for Media Measurement Inc. is a non-profit organization whose historical mission has been to audit the circulation of out of home media in the United States. Recently TAB’s role has been expanded to lead and/or support other major out of home industry research initiatives. Governed by a tripartite board comprised of advertisers, agencies and media companies, the TAB acts as an independent auditor for traffic circulation in accordance to guidelines established by its Board of Directors. These rules govern both how audits are conducted as well as how circulation figures are reported. For more than 30 years, the Florida Outdoor Advertising Association (FOAA) has been working to represent the interests of the outdoor advertising industry before local governments, at the regulatory level, and in the Florida Legislature. The Lakeland Area Chamber of Commerce is your one-stop resource for living and working in Lakeland, FL and the surrounding areas. Our web site contains information for folks visiting our attractions, relocating to our lakeshores & working in our growing economy. The Central Florida Development Council (CFDC) is a public and private partnership between the Polk County Board of County Commissioners and all of the major chambers of commerce and cities in Polk County, Florida. The CFDC is responsible for economic development activity in a thriving community centered in a super-region stretching from Tampa to Orlando. Did you know the City of Lakeland is home to royal descendants? Known as the "City of Swans", Lakeland's many lakes are graced by white mute swans descended from a pair donated by England's Queen Elizabeth in 1957. The city's original swan population is thought to have originated as pets of lakefront residents around 1923. Lakeland city government purchased an additional two pairs of swans in 1926 and appointed a "superintendent of swans" to care for them. 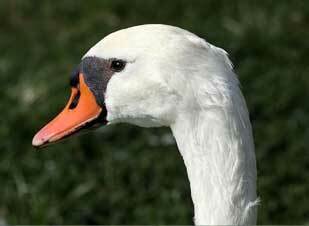 By the mid-1930s the swan population had grown to 20 on six city lakes, but by 1954, through combined contact with humans and predatory animals, it had dwindled to one. A Lakeland resident living in England wrote to the Queen in hopes of buying a pair of the royal swans living on the Thames River. The Queen offered to donate a pair if the cost of capturing, crating and shipping was paid. A former visitor of Lakeland read of the effort and donated the necessary $300. The pair was released on the city's Lake Morton on February 9, 1957. The swan population in Lakeland has since grown to 200, including descendants of the royal swans and several other varieties added by the city.